No one loves and quarrels, desires and deceives as boldly and brilliantly as Greek gods and goddesses. They are like us, only more so - their actions and adventures scrawled across the heavens above, from the birth of the universe to the creation of humankind. Stephen Fry - who fell in love with these stories as a child - retells these myths for our tragic, comic, fateful age. Witness Athena born from the cracking open of Zeus's great head and follow Persephone down into the dark realm of Hades. Experience the terrible and endless fate of Prometheus after his betrayal of Zeus and shiver as Pandora opens her jar of evil torments. The Greek gods are the best and worst of us, and in Stephen Fry's hands they tell us who we are. 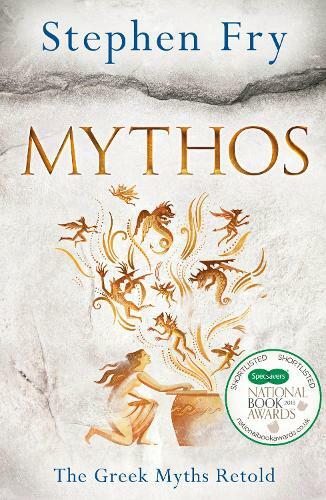 Mythos - smart, funny, and above all great fun - is the retelling we deserve by a man who has been entertaining the nation for over four decades.